i’m back from our wonderful jaunt to florida! it was a truly enjoyable trip, although quite exhausting. erik and i spent 7 non-stop days of activity at disneyworld and i thought it would be fun to share some highlights with you. first, let me acquaint you with the disneyworld basics. 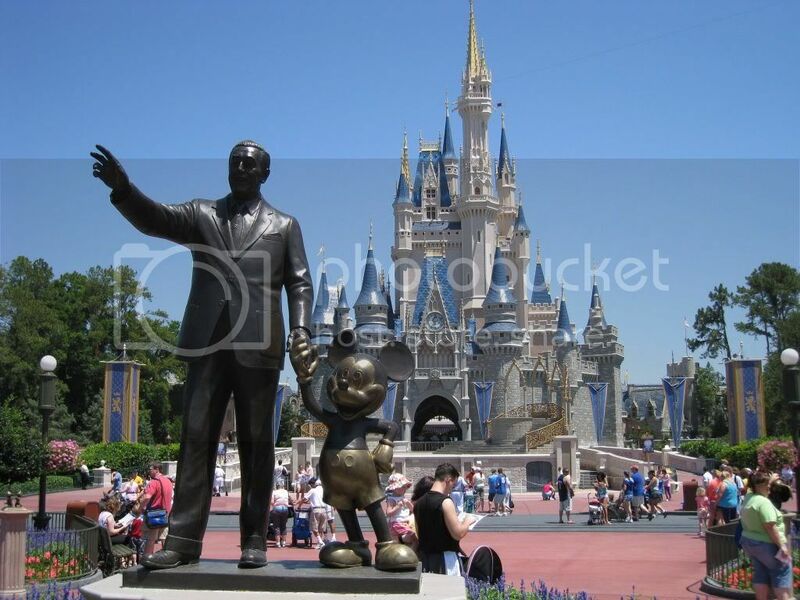 per wikipedia: walt disney world resort is the most visited and largest recreational resort in the world, containing four theme parks, two water parks, twenty-three themed hotels and numerous shopping, dining, entertainment and recreation venues. at its peak, the resort occupied approximately 47 square miles, about the size of San Francisco, or twice the size of Manhattan. portions of the property since have been sold. erik and i visited in 2005 with four of our friends and had a ball. as self-proclaimed “kidults,” we still find rides highly entertaining. 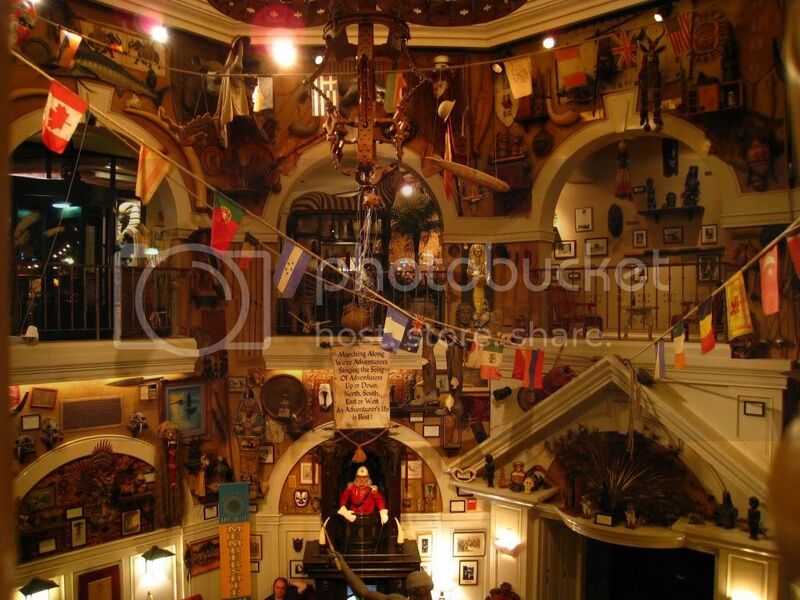 😉 we also get a kick out of the magnificent and thorough theming of the parks and hotels. this time around, it was just the two of us and our maniac itineraries! we visited all of the theme parks (most two or three times) and both water parks during our stay. we also enjoyed some sweet mini golf action (on a course that resembles a real golf course… soooo much fun), the popular disneyquest (a spectacular five-story arcade), and lots of great food. there really is something for everyone at disneyworld and i highly recommend a visit! feel free to contact me with any questions. 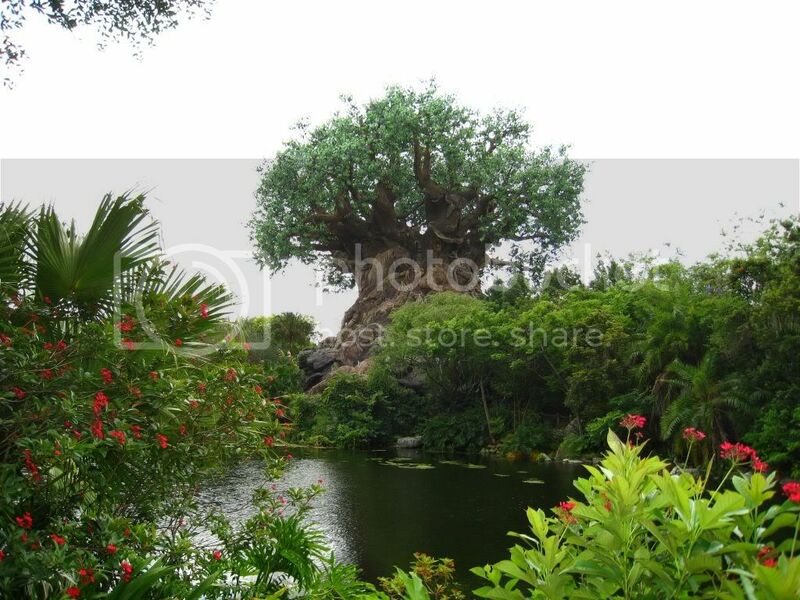 a view of the “tree of life” at disney’s animal kingdom park. this man-made tree is at the center of the park and its trunk is covered with intricate carvings of various animals. a hidden jewel at epcot is “club cool”… a thinly-disguised coca-cola merchandise shop. inside you will find an awesome (and free!!) 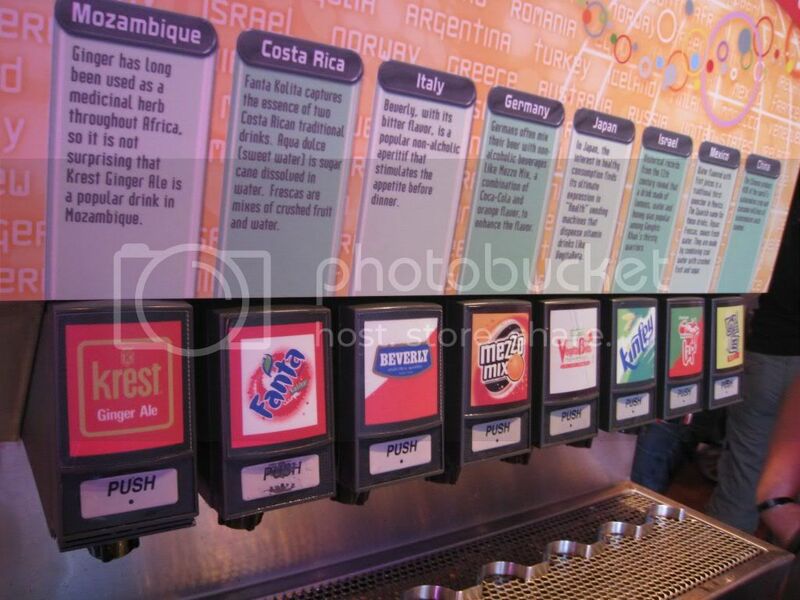 soda tasting station with pop from around the globe. our favorite sodas came from germany and mexico. beware of the disgusting italian soda beverly. it tasted like rubbing alcohol. 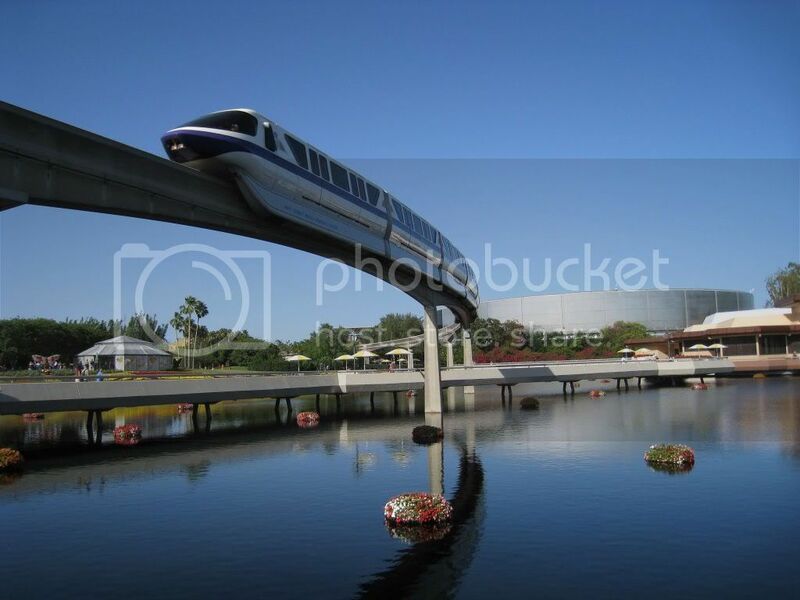 just a cool pic of the monorail at epcot. me, excited in front of epcot’s china pavillion! i <3 epcot’s world showcase. 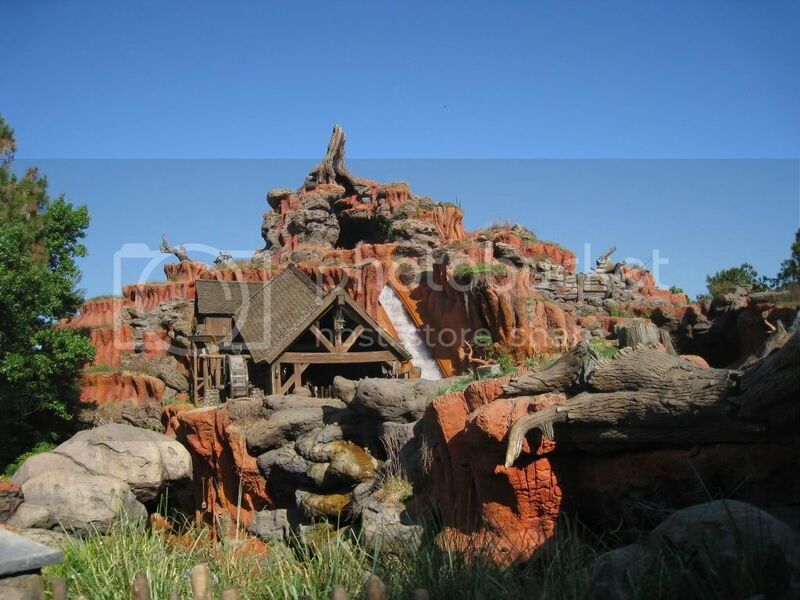 a familiar mountain… splash mountain at wdw’s magic kingdom! beware: the wdw version of the ride is about 10x wetter than anaheim’s. we got SOAKED both times we rode, in the front & the back of the log. the man and the mouse. loooove this! 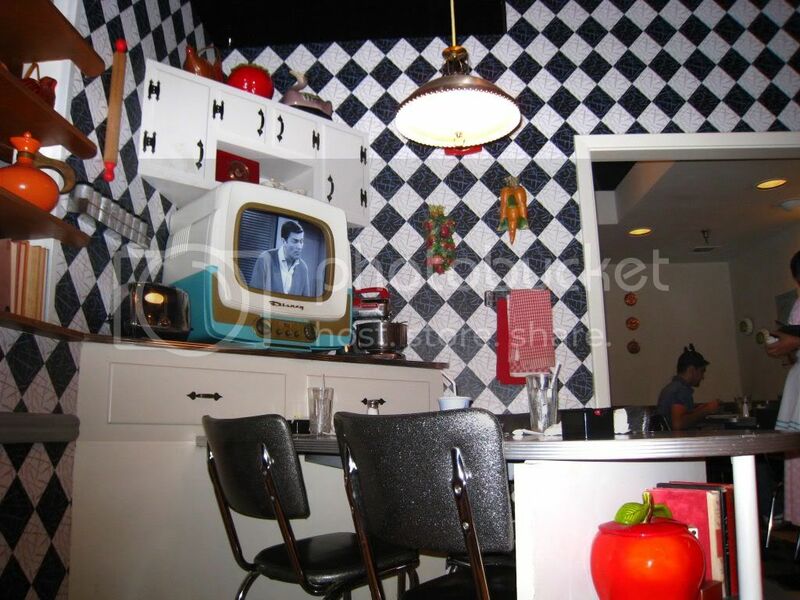 here’s a view of the kitschy “50’s prime time café” at disney hollywood studios. the restaurant is themed like a home kitchen straight out of the 50’s, complete with formica tabletops and black and white TVs running vintage sitcoms and commercials. adooooored it. the food was DEEELISH to boot. the menu featured comfort foods like meatloaf, pot roast and fried chicken; yum yum. 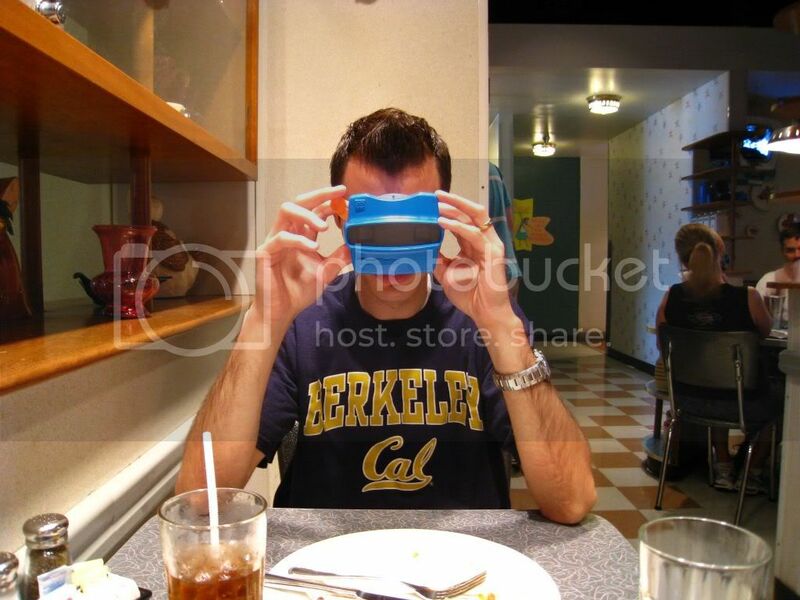 here’s erik checking out the dessert menu… on a vintage viewfinder!!!! how rad is that? 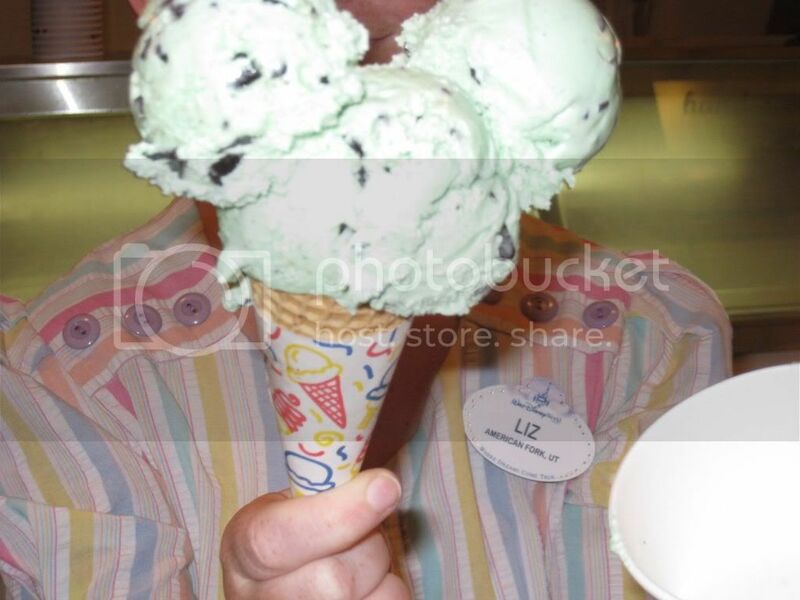 i ordered one scoop of ice cream, and got this! our cashier was kind enough to pose for a pic before an ear fell off into the nearby cup. 😉 thanks, ice cream scooper man, for the hook up!! the entrance to epcot… aka experimental prototype community of tomorrow. 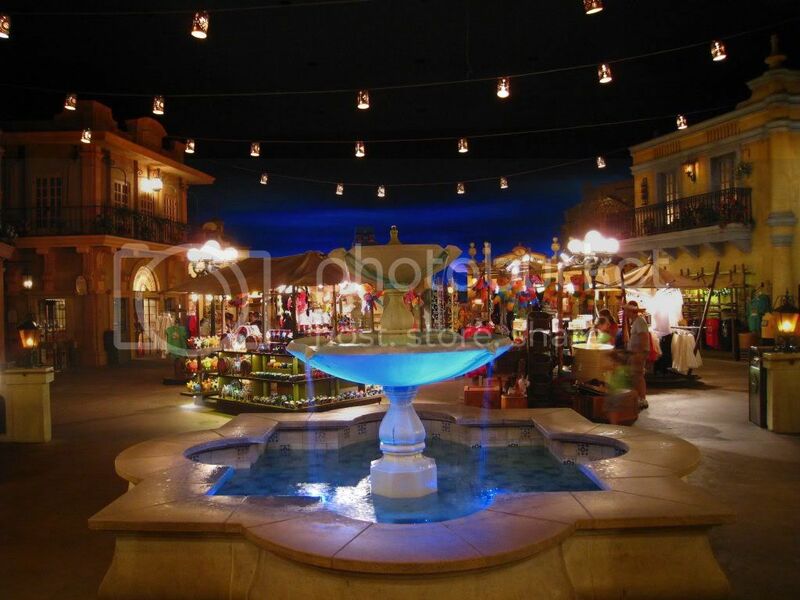 the beautiful interior of the mexico showcase at epcot, which reminds me of the blue bayou at disneyland. it feels like you’re outside at dusk. 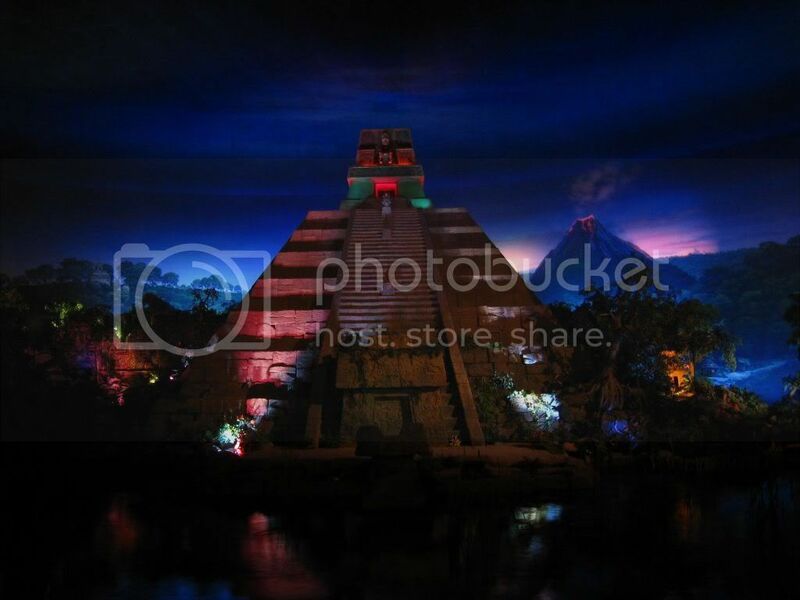 we dined at the san angel inn restaurant at the mexico showcase, which again… is a lot like the blue bayou. the mexico ride (a boat ride) floats on the river adjacent to the restaurant. my mahi mahi and erik’s plato mexicano were excellent. one night at downtown disney, we wandered into the adventurer’s club. it’s sort of like a dinner theatre lounge. we found it yawntastic, but the interior was pretty cool. 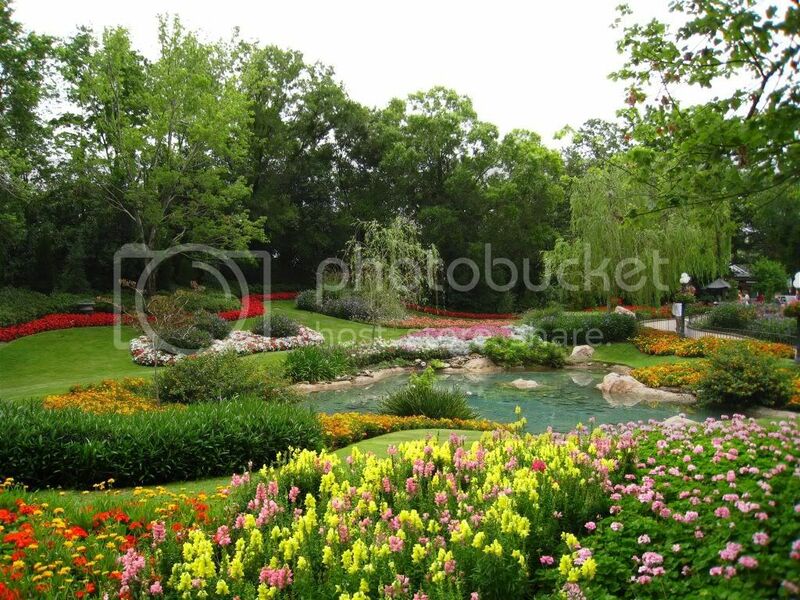 the lush, perfectly manicured gardens of the canada showcase. 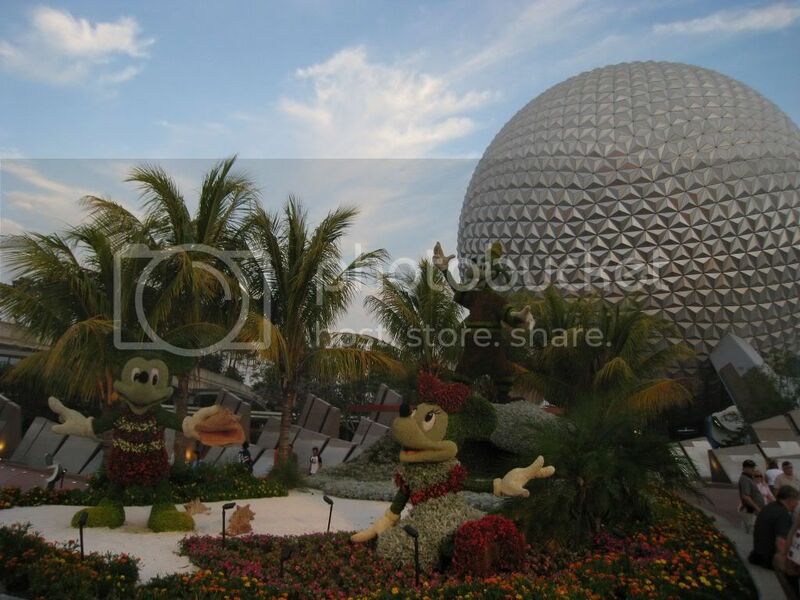 everything was extra gorgeous since our visit coincided with epcot’s annual flower & garden festival. 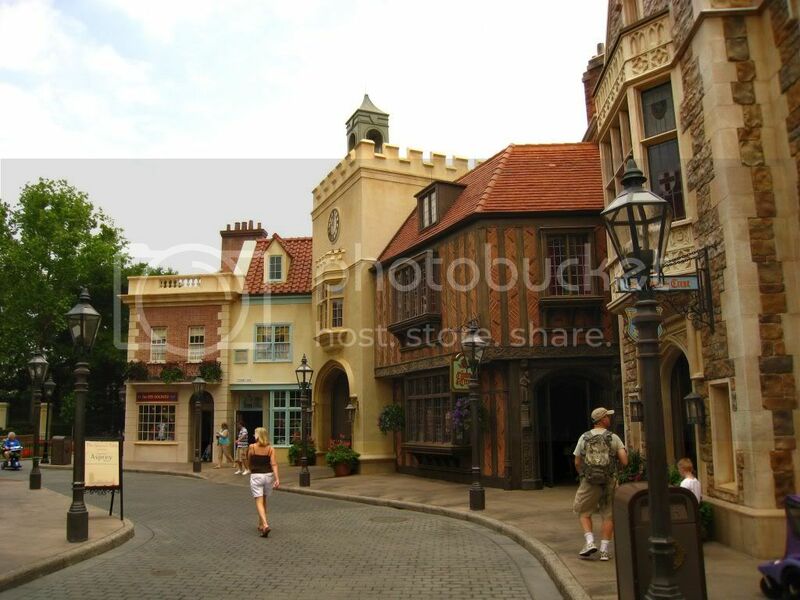 a charming street in the england showcase. 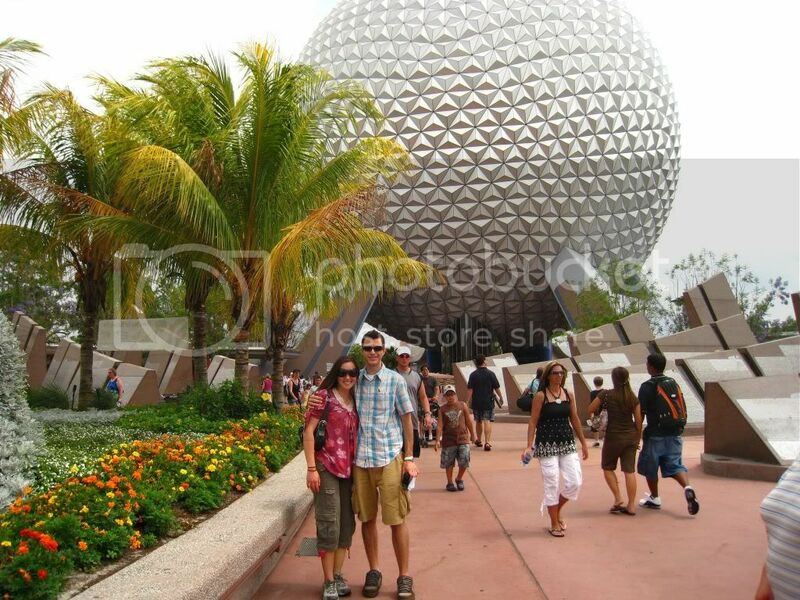 our last day of vacation… saying goodbye to epcot! i hope you enjoyed this little peek into our trip. i missed reading all of your blogs and am now caught up with everyone. i also am *nearly* done responding to the 80+ emails i received last week. yiikes! but, i love being busy. this season is going to be SO incredible! i have a completely fabulous wedding this saturday and will definitely come back with a sneak peek. can’t wait! it’s great to be back… there is NO place like home. xoxo! I just met up with Kali, who had a biznazz trip to Orlando as well. Crazy how we could have all bumped into each other on this side of the coast! Looks like a blast!!! I didn’t know there was so much to see there! Love the soda tasting station! Welcome home! I missed you mucho when you were gone! We have a lot of catching up to do! I’m ridiculously jealous. I just told Rob that we need to have our own Disneyworld vacation. 😀 It looks like you had a blast. I’m so glad — you definitely deserve it! Oh! It looks like you had so much fun and I’m totally jealous! Actually, that mega ice cream cone sounds mighty tasty about now. You know, midnight munchies! I’m sure you needed a bit of “fun” and rest before the big wedding season is in full gear! 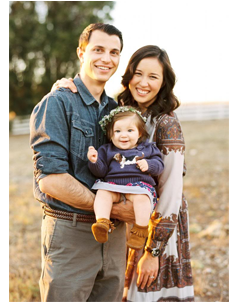 I can’t wait to see all the great photos of weddings that are lucky enough to have you involved!